Rio Tinto is on track to begin construction of the Koodaideri iron ore mine in the Pilbara, Western Australia next year after approving a $US2.6 billion ($3.5 billion) investment in the project. The miner plans to start production at Koodaideri, around 35 kilometres from its Yandicoogina iron ore site, in late 2021. With an estimated capacity of 43 million tonnes a year, it is poised to become Rio Tinto’s next major Pilbara hub and will integrate extensive automation and digitisation technologies. The project is also set to increase the higher-value lump component of Rio Tinto’s Pilbara Blend by around 3 per cent to 38 per cent at a capital spend of roughly $60/t. 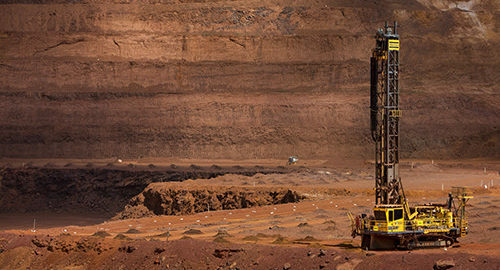 Rio Tinto has emphasised a ‘value over volume’ approach to Koodaideri, delivering low-cost, high-quality iron ore to overseas markets, particularly China. Its phase one construction works will include mine infrastructure, support facilities, accomodation, road access, rail spur and an airport. Koodaideri still requires final approval from the Western Australian Government. 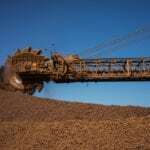 The technologically-advanced mine has been in the works since 2014, when it received environmental approval from Western Australia’s Environmental Protection Authority (EPA). Rio Tinto completed its phase one pre-feasibility study (PFS) in 2016 and feasibility study (FS) in 2017. A $44 million phase two PFS that could see the mine’s annual capacity expanded to 70 million tonnes has also been approved. “Koodaideri is a game-changer for Rio Tinto,” Rio Tinto chief executive officer Jean-Sébastien Jacques said. Rio Tinto is a long-time advocate of automation technology, led by its autonomous haul truck fleet and recently launched AutoHaul driverless train project, dubbed by the company as the “world’s largest robot”. Koodaideri draws on Rio Tinto’s automation knowledge from its Mine of the Future program to maximise productivity and increase safety. The company approved an initial $US146 million ($197 million) in preliminary funding for Koodaideri in August, which focused on developing a rail construction camp and the first stage of the site’s accommodation camp. Koodaideri is expected to create over 2000 construction jobs and 600 permanent operational jobs over its 30-year lifespan.